'Bottle of Wine' is designed by designer Peter van de Water. 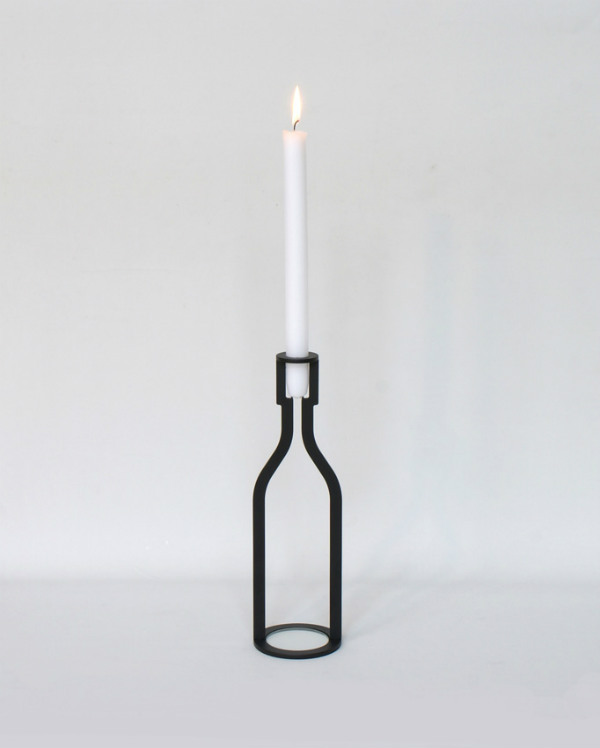 Simple idea is the empty bottle as a candle candlestick, an icon! The Bottle is shaped like an outline and is made ​​of 4 mm thick steel. 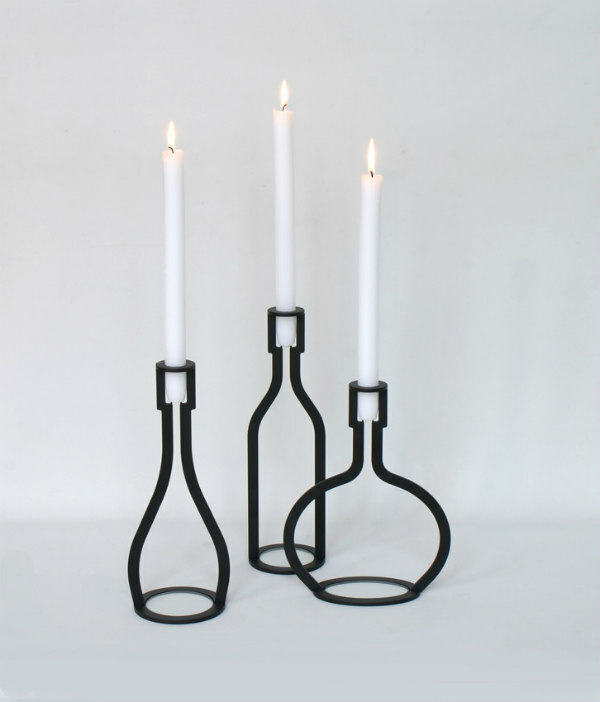 The candlestick is designed carefully and very slickly, a combining the new techniques and old-fashioned crafts. Finishing in a matte powder is felt fitted at the bottom. 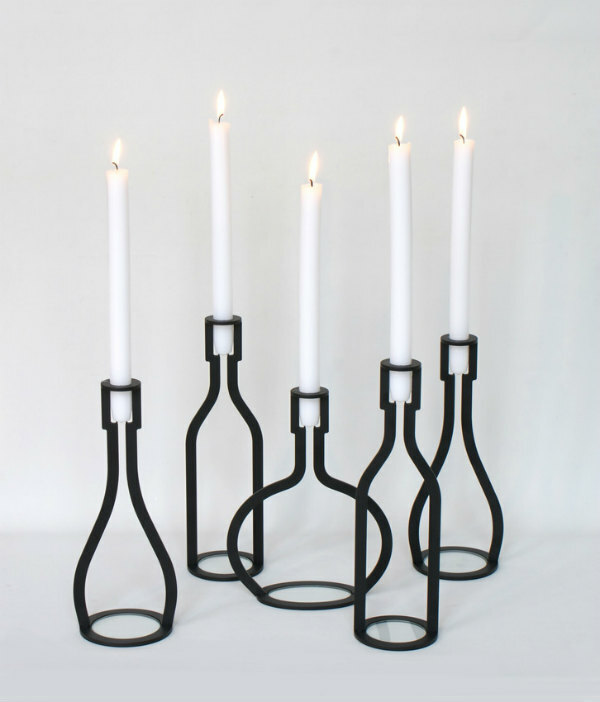 Fine detailing ensures that the candle stable and upright nicely. 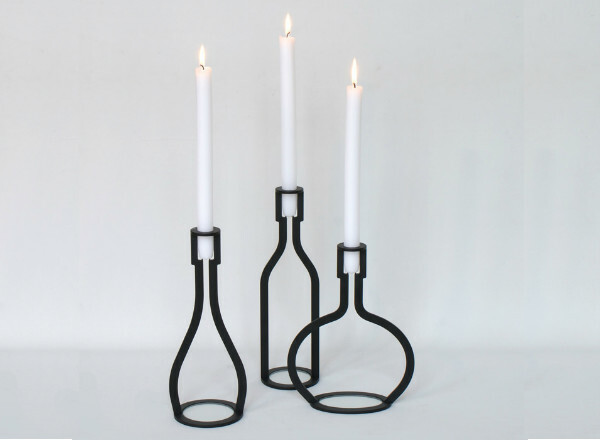 Dimensions: H 30 cm (without candle) x Ø 9 cm, made for standard candle hema and AH.